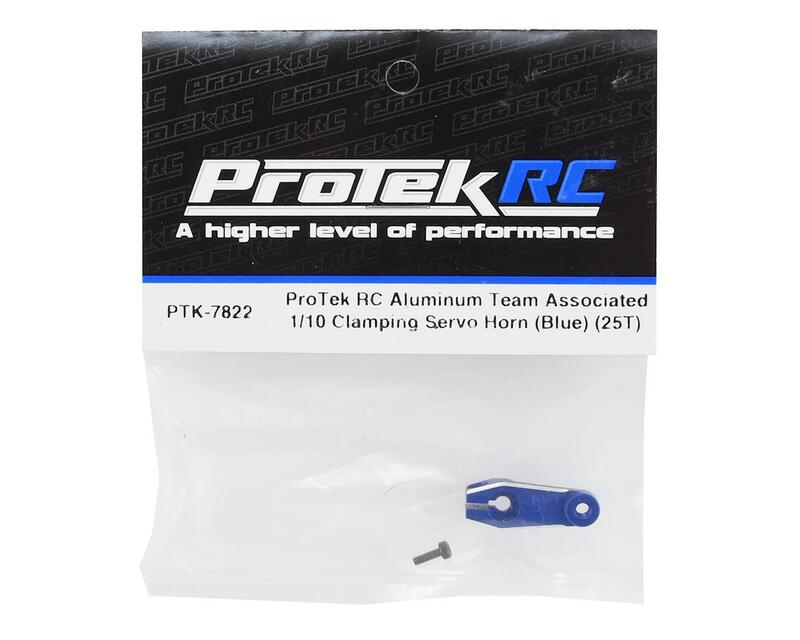 This ProTek R/C Clamping Servo horn is designed for Team Associated 1/10 scale off-road vehicles and is machined from a solid block of aluminum alloy and anodized blue color. 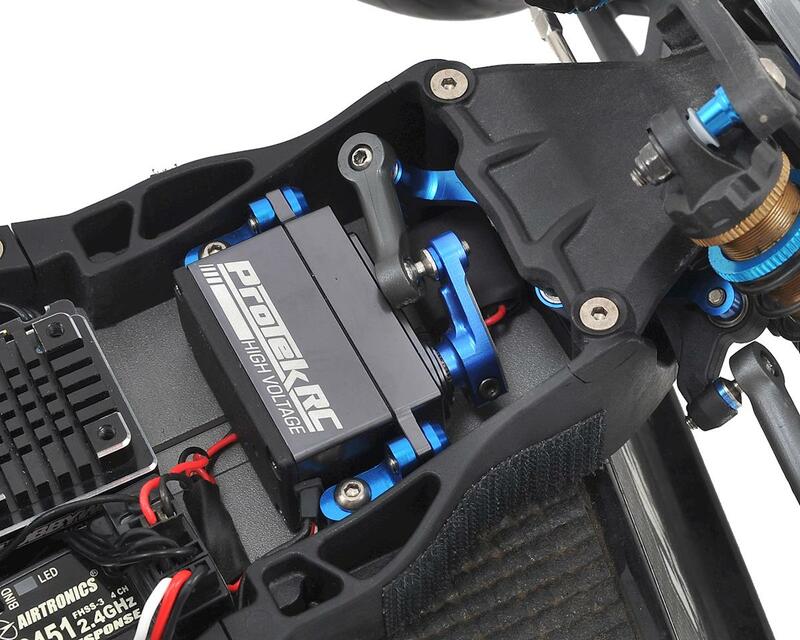 The horn has been machined to the exact specifications and dimensions of the plastic Team Associated ASC9180 servo horn, but provides the precision, rigidity and durability required for the latest generation of high-performance R/C vehicles. 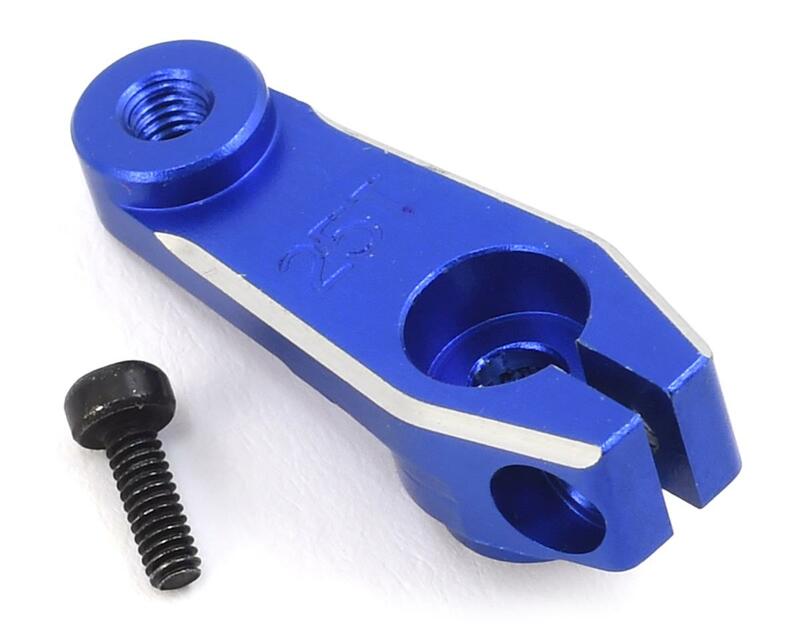 The horn also weighs a mere two grams while providing the insurance of the clamping design to ensure the horn remains in place even if the retainer screw comes loose.